A pilgrim�s report from that eerie country which may be on everyone�s itinerary. . . and makes the way easier. Anthony Alioto was diagnosed with end stage renal disease in 1993 and was forced to go on dialysis for several years before receiving a successful kidney transplant in 2000. 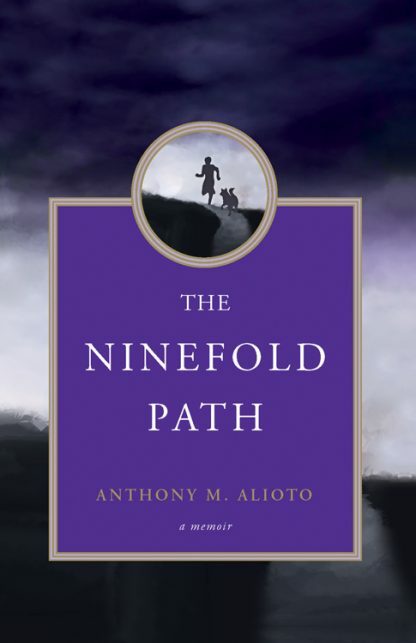 In The Ninefold Path, he invites readers to join him on a harrowing personal journey through a labyrinth of tests, �what can I expect� meetings with medical staff, surgeries, and near-death experiences. He spares no detail in his desire to provide a guide for others living with a chronic disease � and their families and friends � on how to navigate the oftentimes rough waters of modern medicine. The Ninefold Path is for all of those wearily traveling through chronic illnesses and for those by their sides wondering what to do. It is a celebration of the extraordinary individuals in medicine who relieve the suffering of strangers each and every day. In cataloging detail, there is inspiration plus a call to compassion and serenity. Dr. Anthony Alioto, professor of history, has served as the Althea W. and John A. Schiffman chair in ethics, religious studies and philosophy at Columbia College since 2002. Alioto earned a bachelor�s degree in history and literature from the University of Wisconsin, and then served in the U.S. Army during the Vietnam War as a personnel specialist. After his military service, he returned to graduate school at Ohio University, where he was a John F. Cady Fellow, earning his master�s degree and doctorate in the history of science and philosophy. Alioto joined Columbia College in 1981. Alioto has been selected as Teacher of the Year, Outstanding Professor of the Year, Faculty Member of the Year and the 1996 recipient of the Governor�s Award for Excellence in Teaching. He is the author of A History of Western Science. In 2007, Alioto was selected to teach a course entitled �The Buddha and Buddhism� at the Chautauqua Institute in Chautauqua, N.Y. Alioto also teaches for the OSHER Institute for Lifelong Learning at the University of Missouri.